The main man in the Department of Imperial Government Supplies for much of its short existence was Robert Triggs. A life-long public servant, he had a background that was no doubt useful in his new role. Born in Sudbury, England, in 1856, he came out to Canterbury and was educated at Christ’s College. Triggs started his working life with the Railways in July 1877, filling several clerical and accounting roles before crossing the Tasman to serve as chief accountant first of Western Australian Railways and then of the new Commonwealth’s Post-Master General’s Department. 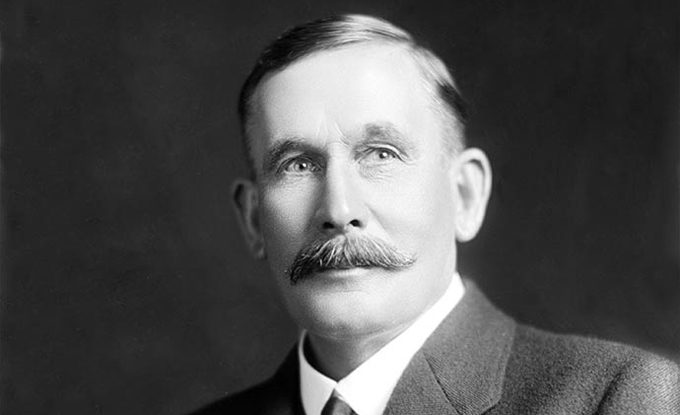 In 1913, aged 57, he returned to New Zealand to become one of two assistant public service commissioners. An obituary said that in this role, while ‘strictly systematic, he broke through much red tape method’ and was ‘chiefly responsible for the introduction of Labour savings throughout Government Departments’. Triggs kept his Public Services Commissioner responsibilities while managing Imperial Government Supplies. In October 1917 he resigned as Assistant Public Service Commissioner to take up the role of Public Trustee, in which he made major changes. He was still carrying out two jobs when he died in Wellington on 12 November 1920 at the age of 63. We have 5 biographies, 21 articles, related to Robert Triggs.